Good morning SideLeaguers! We had 9 games on last night’s slate and as we always do about this time, let’s give you our goal, fight & player of the night from the previous night’s action. Tyler Toffoli’s pretty shorthanded goal. I may have called it pretty up above, but this is also filthy. It’s also smooth and beautiful. Listen, he deked the defense out of their skates and finished it with an awesome goal. Up above is the slow motion video so you can truly enjoy it in all it’s glory. This fight was more of a draw, but if I had to choose a winner it would be Benn. He ripped Foligno’s helmet off and was still trying to land punches even though Foligno had a visor on. Plus as the captain, Benn did a great job of rallying his troops. Before last night’s game, Tyler Seguin had 0 goals. After last night’s game he now has three. Seguin’s 5th career hat trick would help lead the Stars past the Blue Jackets by a score of 4-2. Welcome to another edition of SideLeague’s Morning Skate where we’ll give you a brief recap of some of the standouts from the previous day of NHL action. Now let’s get to the goal, fight and player of the night. Daniel Briere’s Game Winner against Boston. 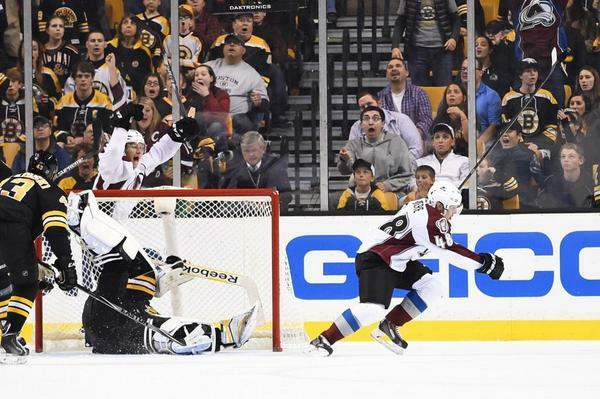 Colorado Avalanche forward Daniel Briere saved the day for Colorado netting the game winner with 0.5 seconds left to steal a victory from Boston on the road. This goal would be the 300th of Briere’s career and would leave Bruins fans a bit stunned. I have no problem with giving Briere two of our honors here. Anytime you can pull of a game winning goal like that you deserve all the praise that comes your way. This wasn’t the most technical affair (are any hockey fights really ever technical?) Looks like McLeod lands the only punch, but McQuaid’s punches look better. I’ll give the nod here to McQuaid because he tried harder. We only had 2 games on the NHL schedule last night so pickings were a bit slim on top performers. Unless we missed it, there were no HUGE hits, no fights and no spectacular goals. So with that being said let’s get to the Player of the night from Sunday. People were questioning Kessel’s slow start to the season, that was stupid. Kessel would net a goal AND assist on another two. Kessel would play a huge role in chasing Henrik Lundqvist from the game in a 6-3 victory for the Maple Leafs. 12 games took place on the ice last night and as always there was some great things that took place. Let’s look at SideLeague’s Goal, Hit, Player & Fight of the night for October 9th. Patrick Kane’s awesome backhand goal in a shootout. This is the defniition of rocking the baby to sleep. Yikes, so nonchalant about this goal but snapped that puck something serious. Patrick Kane made this look so easy. No other words to describe this besides beautiful. Jamie Benn getting his money’s worth. This was quite the scrap. These guys were throwing some serious bombs that had nothing but bad intentions behind them. If you’re wondering who won this fight, us hockey fans did. For the record though, it was Sill. Nash is trying to erase the memory of him having scoring troubles during the playoffs. Nash netted a goal in the 1st period, had an assist in the 2nd, then scored the game winner with under 2 minutes. Sure we’re only 1 day into the NHL season, but why can’t this be a goal of the year candidate? He also hustled so hard to score that goal, he might as well throw himself into the net for good measure. You have to admire Luke Schenn for standing up for his teammate after getting smashed by two guys, but Robins gave Scheenn a nice hip toss for his trouble. I think you can chalk this one up as an easy W for Robins. 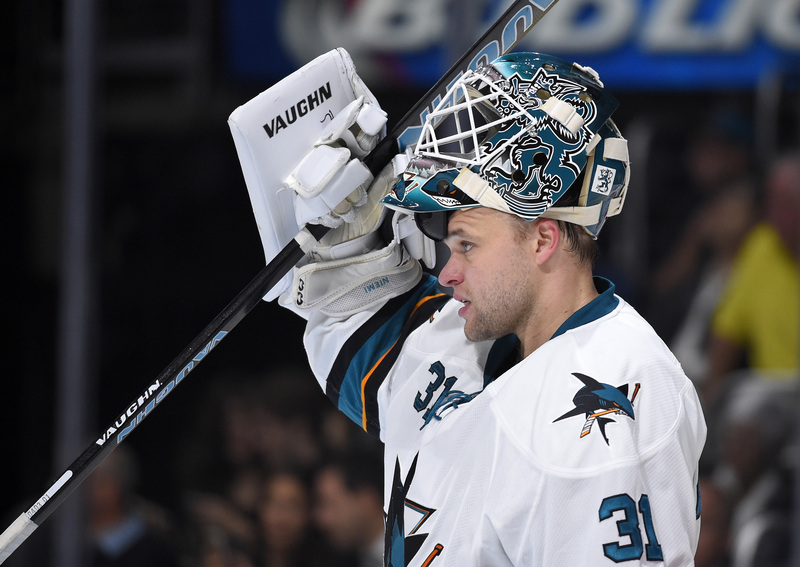 Niemi dominated the Los Angeles Kings last night with a 34-save shutout helping the Sharks to a 4-0 win over the reigning Stanley Cup champion Los Angeles Kings.